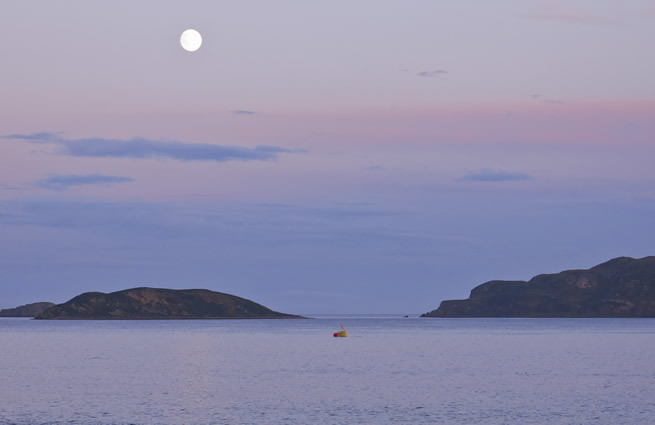 Whilst monitoring E35 on site in Sanda Sound during the 9th and 10th of August in 2014 the Oceanflow team witnessed the "supermoon" event in the sky over E35. The supermoon event is not just a full moon but also the point in the Moons annual orbit around the Earth where they reach the closest distance to one another. This makes the moon much larger and brighter to the eye and according to various sources this was the closest it had been in twenty years. Especially strong spring tides coincide with the "supermoon" event. E35 was connected up to its moorings just 2 days before this peak spring tide which demonstrated the flexibility of our deployment methodology. More interesting and potentially concerning to Oceanflow was the prediction of an explosive cyclogenesis storm or "weather bomb" that appeared over the North Atlantic Ocean and subsequently went on to hit the North West of the UK during the first part of December 2014. This extreme weather had a massive effect on the sea swell with wave heights reaching up to 5m and wind speeds of over 70 mph at our Sanda Sound test site. During this storm the airport was closed, ferry services were cancelled and power lines were brought down. E35 survived the storm without problems and displayed its excellent seakeeping characteristics. 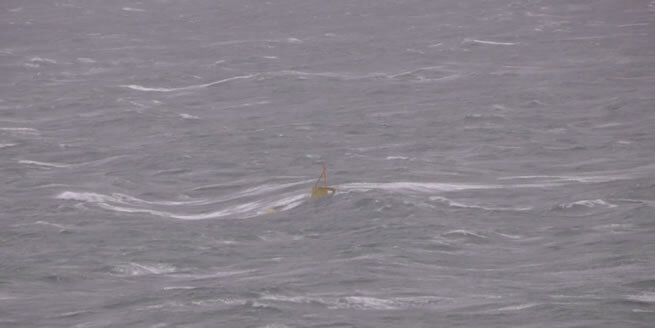 The turret moored device always faced into the tide irrespective of wave against tide conditions which is essential to the devices operation as a tidal generator. See video link below.